Job fairs are a great opportunity to connect with employers from a variety of organizations and industries. Your primary goal should be to obtain information on companies that interest you and to learn how to effectively get your foot in the door when you are ready to obtain a job or internship. Job fairs can result in job opportunities down the line, but remember that this is only the first step in the process! 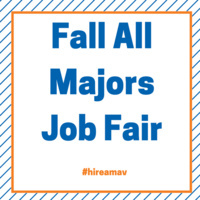 A list of attending employers will be added during the fall semester.